External hard drives helped a lot of people on their everyday work especially students, freelancers and work-at-home professionals, with all of their work files safely stored in one chunk of device with the size of a power bank, it did changed their everyday productivity. The StoreJet 25MC comes in color gray with the touch of green color, the whole device is encased entirely by plastic covered with silicone shell which is essentially a rubber for that “rugged look”. 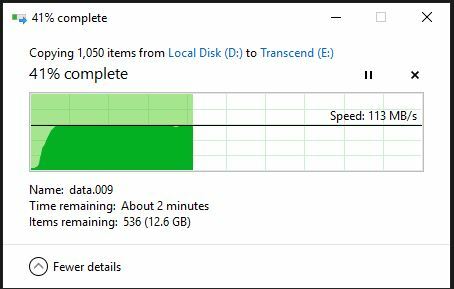 Transcend had to make it that way because of its capability of safekeeping your files when you accidentally drop it at some point which is totally fine with me since I always travel and I’ve experienced data loss due to broken external hard drives. It comes with a micro USB 3.1 to USB Type-C cable for power and fast data transfer. although in terms of data speed their nothing much to notice but the thing is you can plug it directly at your smartphone with USB Type-C port which is pretty handy for me! 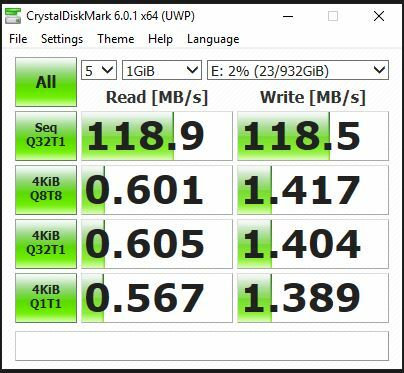 The Transcend StoreJet 25MC takes full advantage of the USB 3.0 connection via USB Type-C. As per my observation, it does transfer files quite faster unlike my other external HDD with the exact same specs. Looking at the image below I managed to copy 21 GB of files in just under 3 minutes which is pretty impressive. I tried backing up my phone (Huawei Mate 20) with it, all you need to do is download the transcend elite app on google play or app store. For Android OS, you need to set permission first to allow the access of the data then select the StoreJet 25MC as storage location then it automatically backs up all your files. I’m actually impressed with this device because not only it protects my files but also it performs better overall compared to my old 1TB external HDD. I also can use it as my backup storage for my photos on my phone. Although it might be a little pricier at Php3,750.00, its features we mentioned before definitely proves its worth.